Running Press Book Publishers, 2018. Board book. Good. Disclaimer:A copy that has been read, but remains in clean condition. All pages are intact, and the cover is intact. The spine may show signs of wear. Pages can include limited notes and highlighting, and the copy can include previous owner inscriptions. At ThriftBooks, our motto is: Read More, Spend Less.Dust jacket quality is not guaranteed. Running Press Kids. BOARD BOOK. 0762493321 signs of little wear on the cover. . Very Good. Running Press Kids. BOARD BOOK. 0762493321 Minor shelf wear . Very Good. Running Press Kids. BOARD BOOK. 0762493321 . New. Running Press Kids. Board book. 0762493321 BRAND NEW! In Protective Shrinkwrap! A Glossy Hardcover in NEW, pristine condition. We ship all orders with delivery confirmation! . New. 2018-10-09. Running Press Kids. BOARD BOOK. 0762493321 Special order direct from the distributor . New. Running Press Kids. BOARD BOOK. 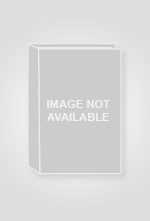 0762493321 Brand New ,Original Book , Direct from Source , Express 5-8 Business days worldwide Delivery. . New. Hardback. New. 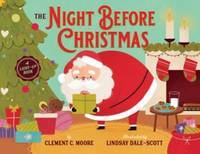 Share the magic of Christmas with Clement C. Moore's classic poem and dazzling twinkle lights in this new board book for the whole family. Running Press Kids, 2018. Board book. New. 8.63 x 6.63 cm. 2018-10-09. Good. Ships with Tracking Number! INTERNATIONAL WORLDWIDE Shipping available. May not contain Access Codes or Supplements. May be ex-library. Shipping & Handling by region. Buy with confidence, excellent customer service!